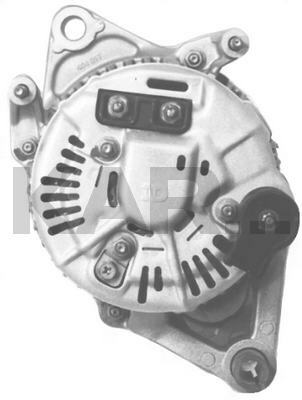 This is a 90 Amp NDenso Alternator for Late Model Jeep. This Looks Much Like a 13245 (Same Dimensions Everywhere) With the Exception That the Pulley is a 6-Groove (Just Like the 82260), But the Diameter of it is 7mm Smaller. Also the Battery Terminal Insulator is Pointed in the Opposite Direction. The Shaft Diameter is Identical to the 13245, So the Two Units Should Be Interchangeable if Pulleys Are Re-Used. The 75A Version of the 13341 is the 13442.